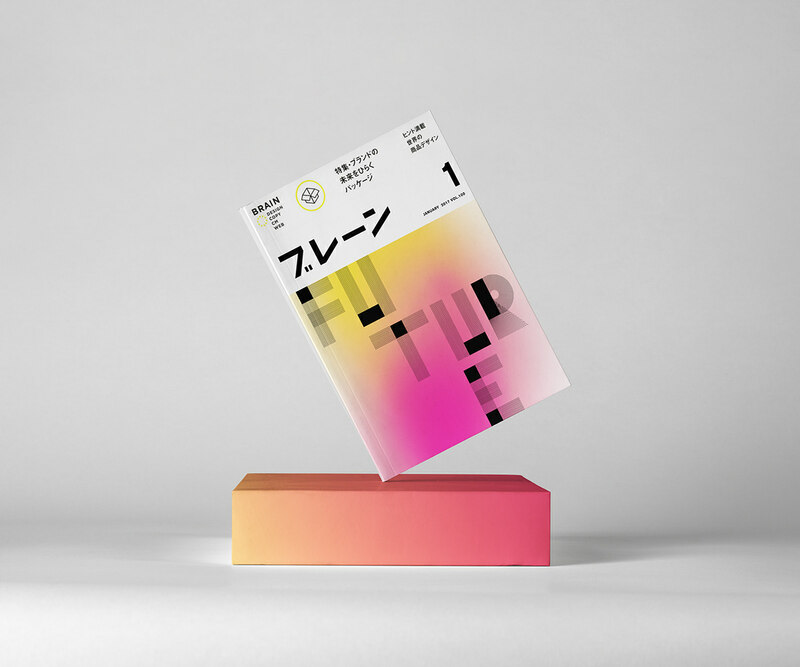 Brain Magazine is a Japanese publication focusing on Japanese Advertising, Design and Creative People. 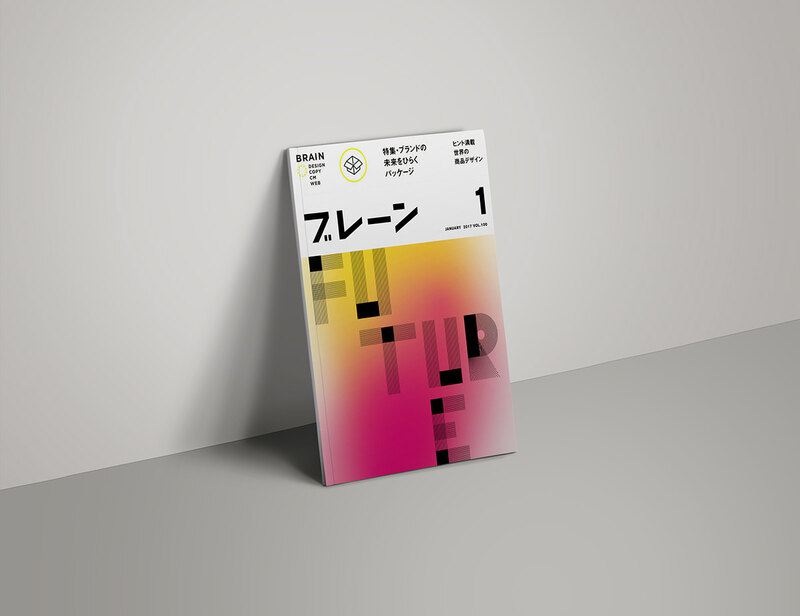 Design Army was tasked with coming up with the cover design for their January 2018 publication based on the theme "The Future". 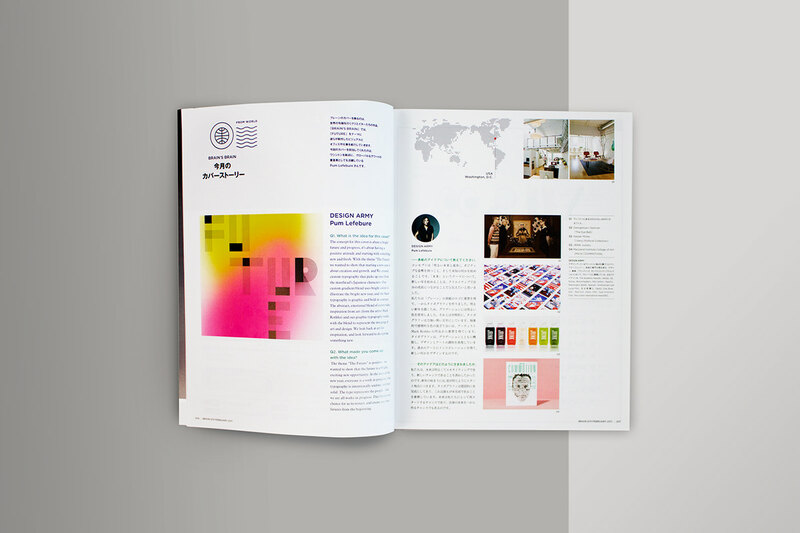 We developed multiple concepts, and the client settled on this minimalist design which drew cues from the masthead yet combined a smooth gradient done in bright colors. The custom type is abstract yet strict, contrasting with the fluid gradient in the background. The concept was based on the idea of creation and growth, reflecting on the masters of the past yet carving out a clear path for the future. 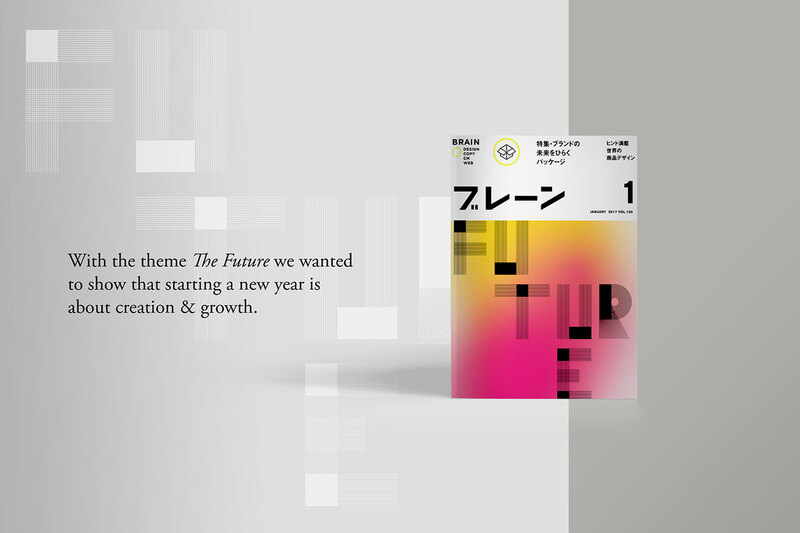 Brain Magazine tapped us to create custom cover art based on the theme "The Future". The colors are bright blend of pinks and yellow, symbolic of the dawn. It evokes positivity, creation and growth. The typography picks up cues from the masthead, but intentionally retains an "unfinished" look to represent each individual's progress as they move through the future.